by pamlloydsite.In Business to Business, Media Relations, Strategy Planning. Cakesmiths produces really good cakes (exceedingly good, some may say). They supply them direct to the independent coffee shop sector as well as some foodservice businesses. A Bristol business success story and one of its best kept secrets.  PamLloyd PR has been retained by the Cakesmiths team to shine a light on the business. The media relations support provided by the PR team is promoting the company to new coffee shop buyers and other outlets through trade media. The objective is to increase awareness of the business and its products to meet the increased capacity as Cakesmiths expands its bakery operation from Autumn 2017. If you’re enjoying an Espresso Cheesecake Brownie somewhere, it’s very likely to be one of theirs.